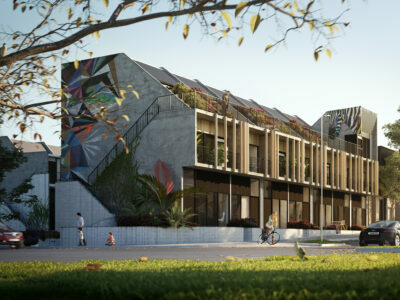 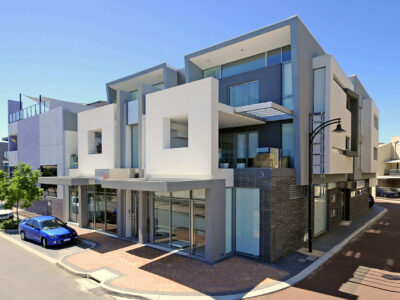 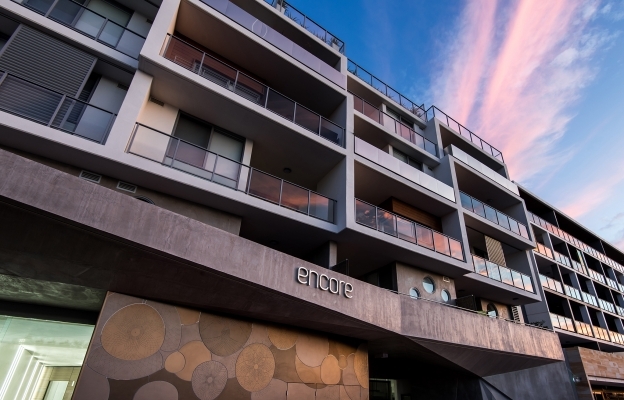 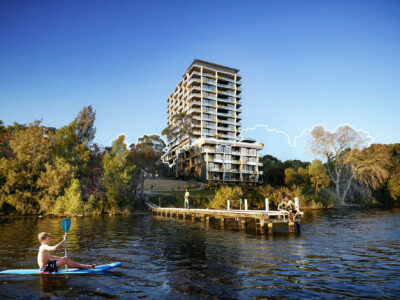 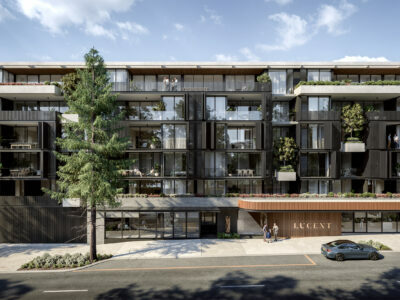 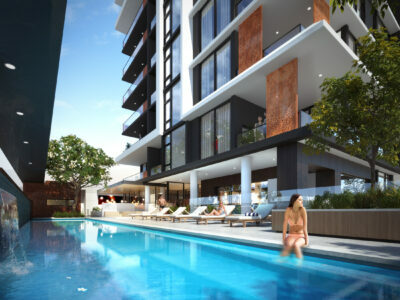 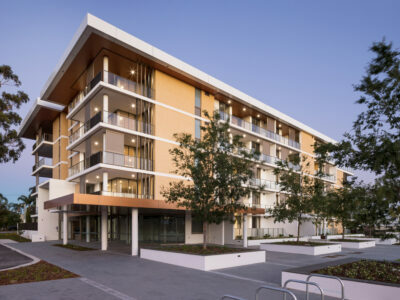 Encore Apartments are part of the redevelopment of one of Subiaco’s former light-industrial zones. 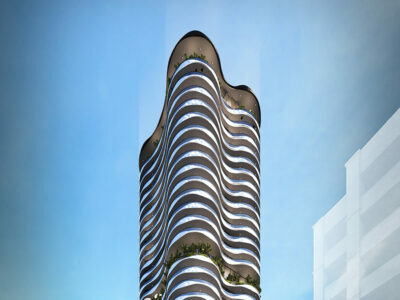 The seven-level, mixed-use development consists of 87 apartments and generous commercial tenancy. 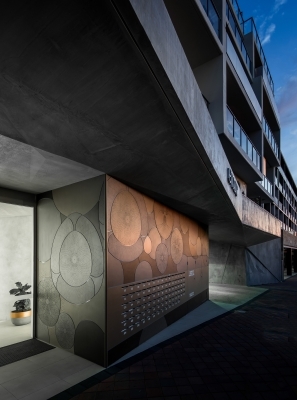 At the forefront of the revitalisation, the architects strived to create a sophisticated manipulation of the modular apartment complex. 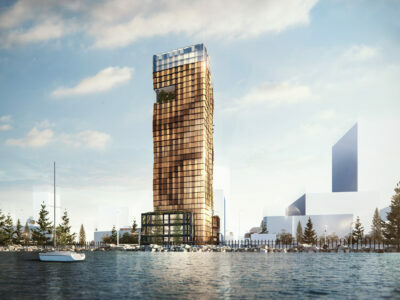 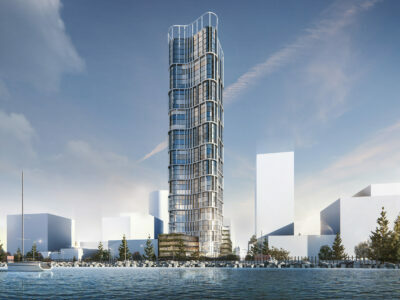 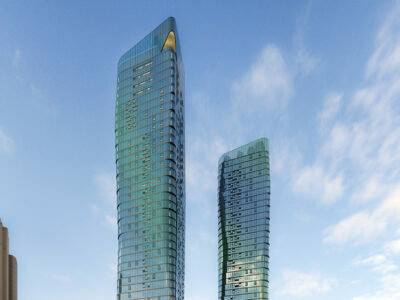 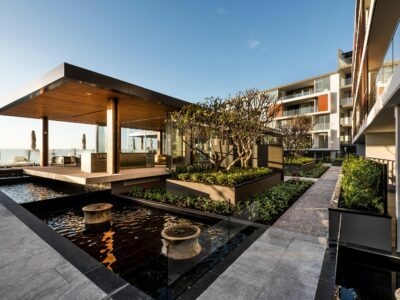 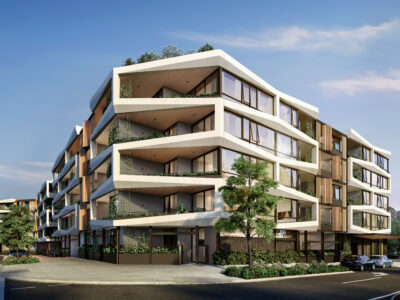 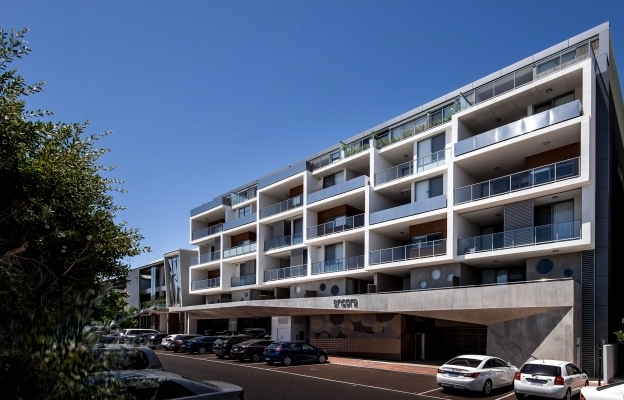 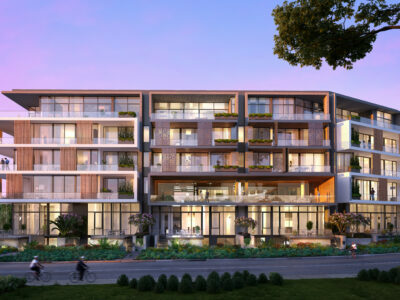 The intention was to set a new benchmark for apartment living in the precinct and make a striking landmark statement to the area. 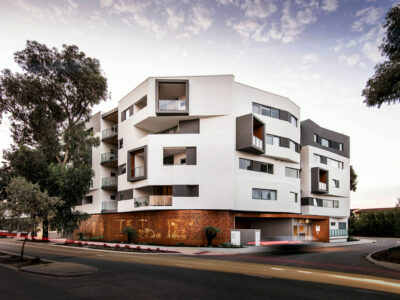 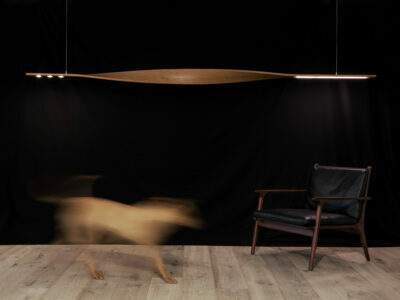 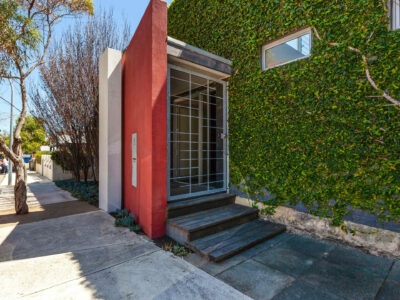 The difficulties of planning apartments on a deep square lot were overcome through the use of carefully placed light-wells and a highly-efficient, H-shaped circulation core. 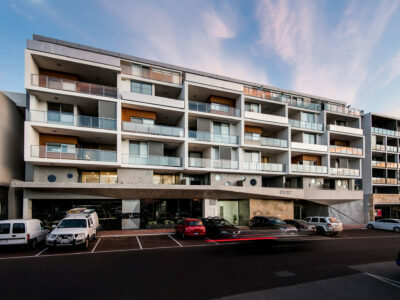 Deep balconies push forward and back, avoiding the repetition inherent in multi-story buildings. 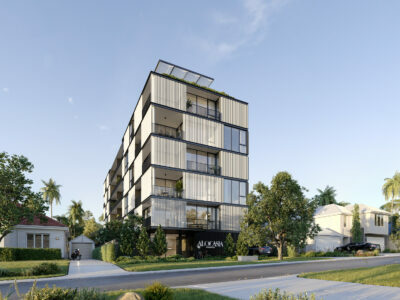 Further articulation is created with a series of planter boxes and alternated timber panelling. 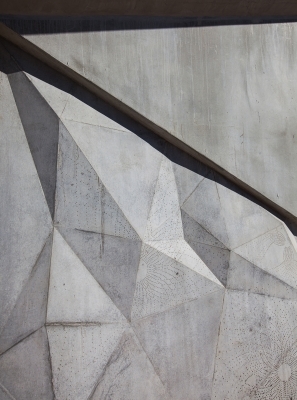 At street level, the architect collaborated with a local artist to develop both the sculptural concrete canopy and perforated metal façade panel. 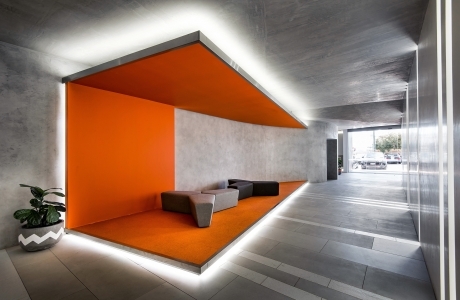 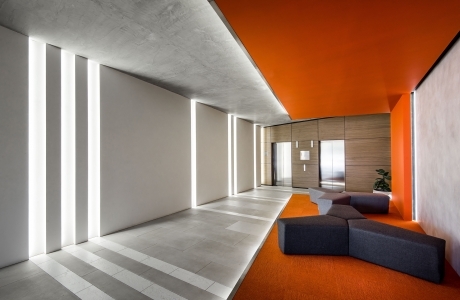 The raw, embossed canopy carries through into the lobby area, connecting public and private spaces. 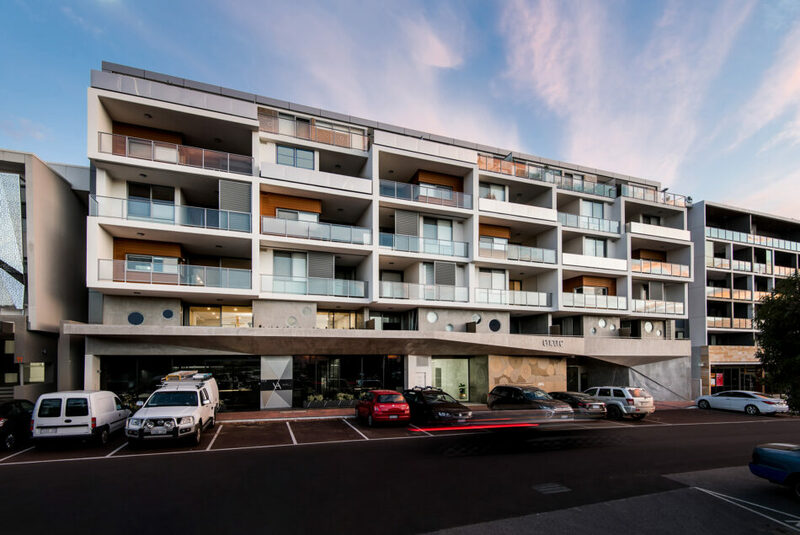 By combining orderly and proper planning principals with sensitive design considerations, Hillam Architects were able to demonstrate to authorities that a variation to the applicable planning framework should be considered.